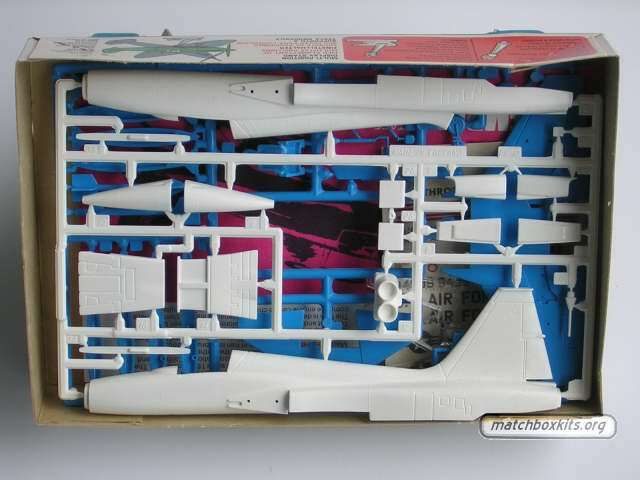 What set Matchbox kits in a distinct place on the market was that all modelling kits were done in multiple colours. It started off with the Purple range that was moulded in two colours (pic # 1, 2 and 3). After that came the other ranges Orange, Red, Brown and Green that were biggers kits and all got moulded in three colours (pic # 4 and 5). All this colourful work was done so the younger modelers could build an attractive model without touching any paint. There were instructions for the more advanced modeler to fully paint the model (pic # 6 and 7). There was even an in-between option that was called the Mini-Paint plan (pic # 8).